That's his background. He helped Peyton Manning resurrect his career in Denver. That put him on the map and eventually lead to head coaching jobs. I almost spit my coffee out when I read that. "Resurrect his career" -- that's gold, Jerry! Just watched the taco video, absolutely hilarious. 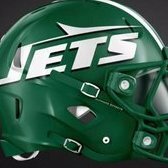 Good luck with that Jets. Social media is not a fan of this hire LOL! He’s Gase’s whipping boy. 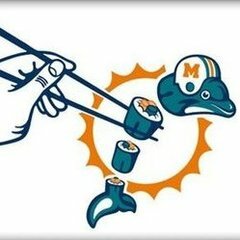 Gase is the play caller and Loggains just translates it. This hire doesn’t impact much of anything. We'll see if youre laughing this time next season. I really hope you are still laughing then. Stop...LOL. You're killing me. LOL!!!!!!!
? Im saying I hope Im wrong and youre right and you find that funny. Do you have anything intelligent to add or have you been hitting the nitrous. Some guys have to fail at their first shot at HC to figure it out the second time. My guess is this guy fails yet again. 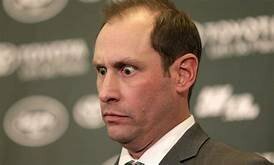 Then for the love of all things good and holy, if McDermott implodes, keep Gase away from the Bills’ front office. Somebody please give the Pats a decent challenge on the division next year!!!! Not sure how the same can’t be said about the Bills.